Spring, summer, fall, and even winter, Sedum is a versatile, tireless garden performer. 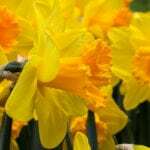 Gardeners love its long-lasting, bright, clustered blooms that range from reddish purple to neon-red, rose pink, and yellow. 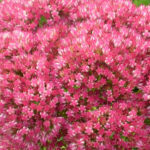 Sedum flowers brighten sunny garden beds and make wonderful cut flowers. 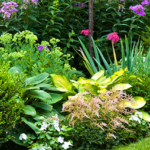 These plants are valued for their lovely leaves, which can be blue-gray, jade green, chartreuse, bright green, or red. Some varieties of Sedum are known for their distinctive red stems. In addition to being beautiful, Sedum’s thick leaves and stems are built to hold on to water for weeks at a time. Sedum’s drought-resistant nature is great news for gardeners who crave color and excitement in the landscape, but have limited time to water. Most types of Sedum WANT to dry out before their next watering. 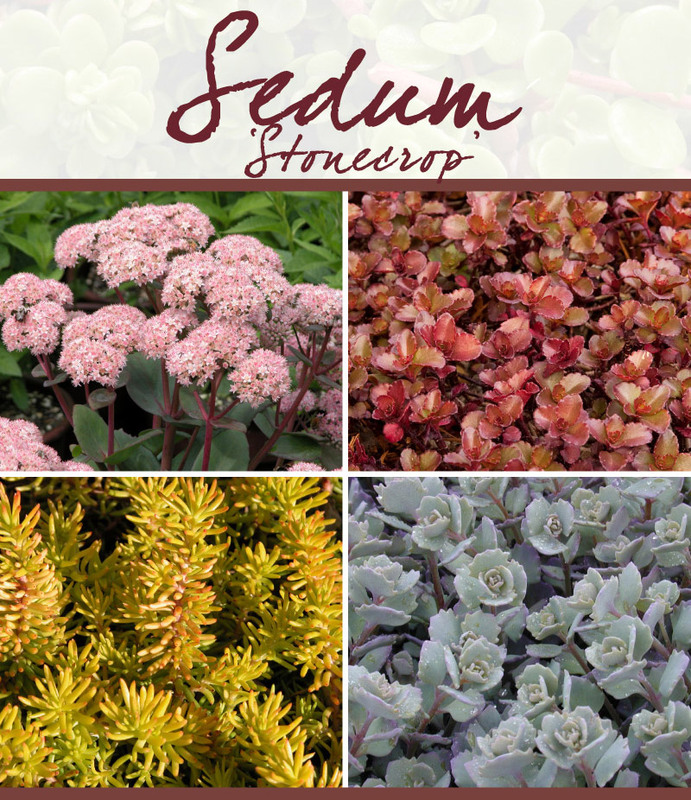 The best news is that you’ll easily find a variety of Sedum for every part of your garden. Shorter, low-growing plants make excellent groundcovers and can be successfully used as border plants, in rock gardens, and in containers. Creeping types of Sedum that do not grow taller than three inches high will readily beautify sloped properties while adding color and texture that never needs to be mowed. Other varieties have a taller, upright habit that makes them perfect for group plantings. Bonus: Birds, bees, and butterflies are particularly fond of Sedum. “Carl,” Rock ‘N Grow® “Lemonjade,” “Neon,” “Munstead Dark Red,” “Mr. 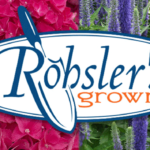 Goodbud,” “Vera Jameson,” “Lidakense,” “Purple Emperor,” “Coral Reef,” and “Touchdown Flame.” We also carry SunSparkler® Dazzleberry, Firecracker, and Lime Zinger. We are currently offering Sedum rupestre “Angelina,” (a chartreuse-leaved variety) and Sedum reflexum “Blue Spruce,” a blue colored Stone Crop groundcover with yellow flowers. Sedum “Matrona,” a three-foot tall beauty with pink flowers and bluish leaves with dark red stems and ribs. For a true red bloom, try S. hylotelephium “Red Cauli.” These gorgeous blooms open on purple stems and can reach 8-12 inches in height. We also grow the aptly-named Autumn Joy, a 36-inch tall plant that produces pink flowers in July and August. The flowers turn maroon as fall arrives, and the seed heads can last into winter! Sedum spectabile “Autumn Fire” is also one of our favorites to grow. 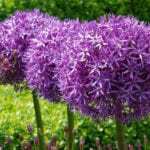 This plant tops out at 30 inches tall and offers up clusters of rose-to-red flowers in summer. The plants turn deep bronze in fall. We grow many other types of Sedum. Stop by and ask our experts which types of Sedum are the best choice for your landscape.